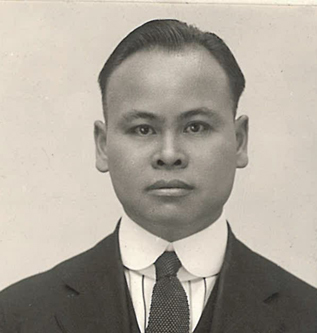 Eng Se Tong, age 20, was coming to the United State in 1922 to finish his education on a scholarship at Whitman College in Walla Walla, Washington. He could speak a little English. His deceased father was Ng Joon Sam. His brother, Soon En, was living in Chicago. Ng Shue Tong’s application was endorsed by the American Consular General at Canton, China in 1921 under the rules set forth at that time. Ng Shue Tong had hookworm when he arrived so he was rejected. He applied for hospital treatment, was cured, and admitted at Seattle and from there went to Walla Walla. 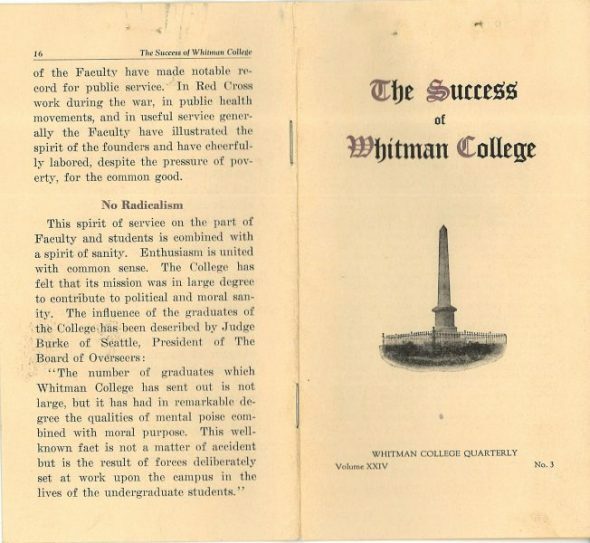 A 16-page brochure, “The Success of Whitman College,” is included in the file. 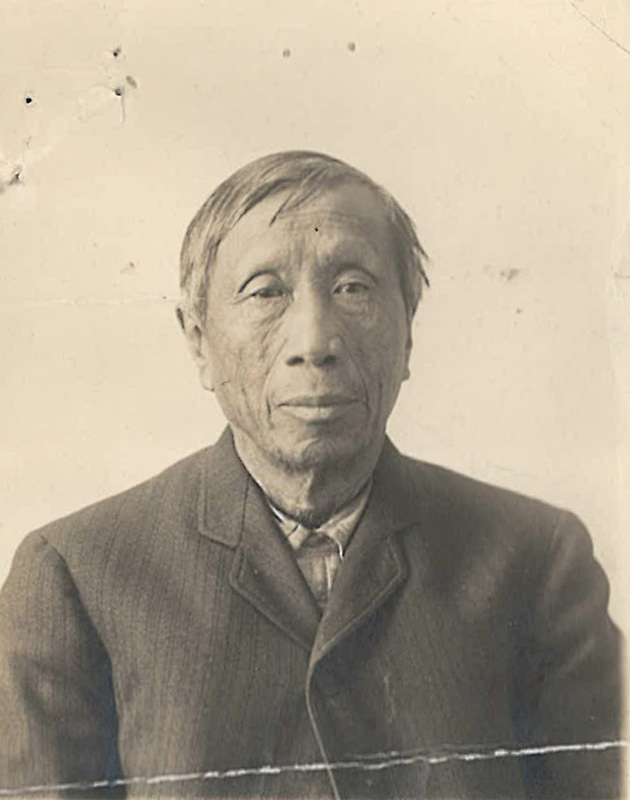 “Jung John, Form 421 photo,” 1922, Chinese Exclusion Act case files, RG 85, National Archives-Seattle, Jung John file, Seattle, Box 1327, Case 39555/2-3. Jung John was a salesman at the Chong Wah Company in Philadelphia. He was admitted as the son of a merchant. His father had worked at Chong Wah Company and when he died in 1916 he left his share in the company to his son. The average annual sales for the company were $50,000 to $60,000. They sold Chinese groceries, drugs, fancy goods and chinaware. For $87 a month they rented most of the building at 909 Race Street. They subleased out the second floor to Far East Restaurant and the third floor was used for sleeping quarters. There were twenty members in the firm. Before leaving the U.S.in 1921, Jung John swore that for at least one year proceeding the date of his application he had not performed any manual labor other than was necessary in the conduct of the business. He was going back to China to visit his mother and get married. Lee Ho, age 29, was the manager of Chong Wah Company. He and Jung John both came from Hok San district in China. George C. Taggart, age 52, physician and druggist at the northeast corner of 9th & Race Streets and knew most of the Chinese in the area. For the last 26 years, Peter Hackett, age 46, was a custom house broker with Vandegrift & Company at 400 Chestnut Street. He had seen Jung John at the funeral of his father and knew them both through Chong Wah Company. Jung John impressed Mr. Hackett as a clean-living young man of good habits. 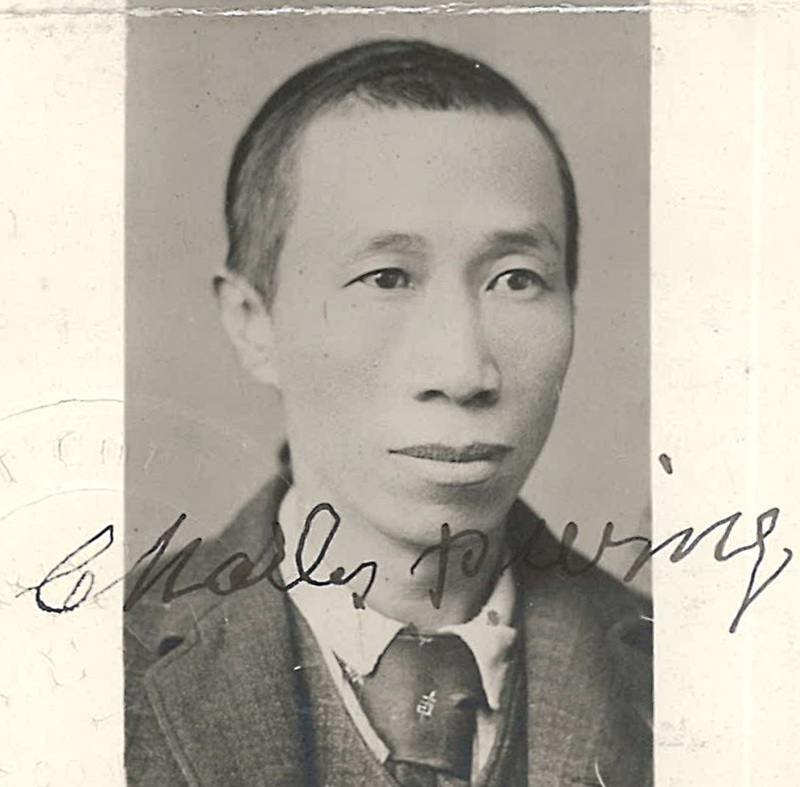 “Chin Hing photo & business card,” 1922, Chinese Exclusion Act case files, RG 85, National Archives-Seattle, Chin Hing alias Chin Fook Hing file, Seattle, Box 1328, Case 39666/1-1. Chin Hing’s marriage name was Chin Fook Hing but he also went by Hing Henry. He was born in Canton, China on 1 September 1875 at one a.m. [It is very unusual to see the time of birth listed in a file.] His father, Chin Suey, was born in San Francisco and his mother was Woo Shee was born in China. Family information was included in a bible and a generation book. His grandfather, Chin Yick, was one of the first Chinese to come to San Francisco. He was married to an Indian woman and worked in the gold mines and then a fruit orchard. After the grandfather’s wife died in 1874 he and his son, Chin Suey, went to China. Chin Suey married Woo Shee soon after he arrived and they had a son, Chin Hing. The family moved back to San Francisco about 1881. 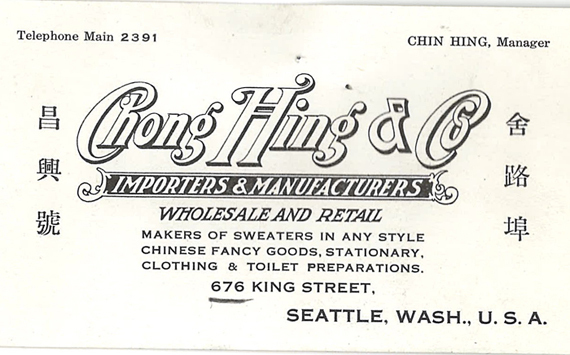 Years later they moved to Seattle and Chin Hing became a merchant at Kwong Wa Chong Company. In 1910 Chin Hing visited China and married Tah Soo Len who was born in Los Angeles. Their two children, Chin Hing Henry and Chin Josephine were born in Seattle. 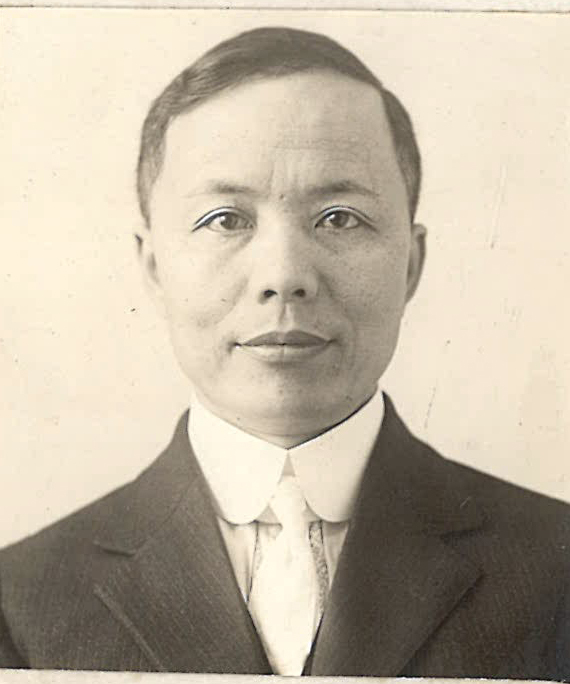 At the time of his interview in 1922, Chin Hing was a merchant and member of Chong Hing & Co., at 676 King Street in Seattle. The interpreter explained to the interviewer that the generation book was a history of Chin Fook Hing’s family for eighteen generations and dated back over three hundred years. Julius Schweigart, in the art and picture business, a resident of Seattle since 1906. Otto Guthman, salesman at National Grocery Co., Seattle; resident of Seattle since 1905. Woo Gen, merchant and member of Kwong Wa Chong Co., Wa Chong Co., and Washington Rice Mill Company; resident of Seattle 36 years. Chin Hing (Chin Fook Hing) died in Seattle on 16 November 1941. A copy of his obituary from 22 November 1941 issue of the Seattle Times is included in the file.